The beauty industry is one of the most influential, exciting fields to work in when it comes to creativity. It also has clear divisions in specialist areas including fashion, bridal, film, TV. 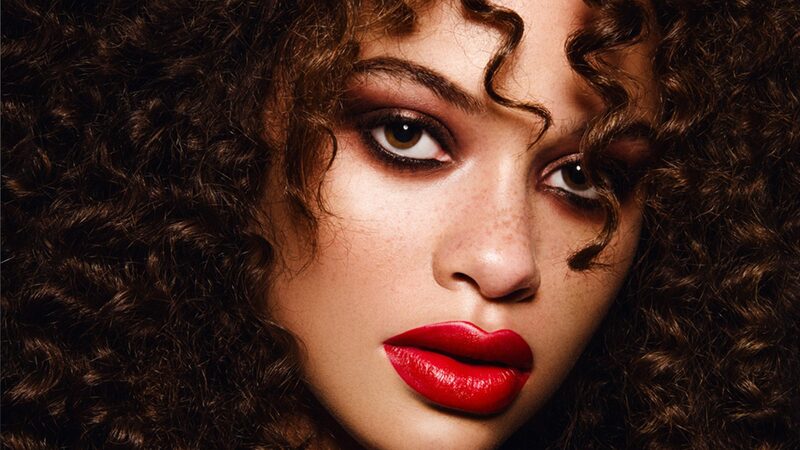 The Pro Beauty Makeup Diploma is the place to begin your journey, delivering a solid foundation of application and technical skill, taught in the intimate setting of industry icon Bobbi Brown’s Pro studio in London with a maximum of 8 future artists. As a beginner or an established artist focused on consolidating skill, the course is an investment in skills that will last you a lifetime as a makeup artist. Be immersed in 100% practical lessons taught by makeup artist experts currently working in the industry, to ensure well-trained, current and varied teaching. You will gain insight and consistent personalised feedback from all your tutors and guest speakers, focused on accelerating your practical learning. The best artists are those adept at makeup artistry, possessing excellent colour perception and artistic ability, along with patience, tact, communication skills, and the ability to work under pressure. So, we keep our classes small and our tutors the best in their field, to give you the personal time and expert attention to develop in these key areas. All classes are taught in a welcoming and engaging atmosphere as you master the fundamentals of beauty makeup – practising technique to develop skill, confidence and creative dexterity in all elements of beauty makeup application. This training is the start of working towards your career. We also deliver the additional components for you to develop skill in specialist areas including fashion makeup and to continue your journey with the right tools to succeed, including the Professional Makeup Portfolio Build 3 Day development. to create industry level imagery, vital for your promotion in a professional capacity. As an emerging makeup artist, we appreciate that your portfolio of work beyond training is vital to showcase your commercial ability to engage clients for assisting work. We are focused on delivering a seamless beauty makeup training package for you, so you need look no further, as the opportunity to start or develop your portfolio with the industry experienced LCS team is here. Shooting with London agency models supported by a respected beauty photographer, hair artist and fashion stylist over 3 days, you will create 9 beautiful re-touched images – with models, hair artists and styling included in this exciting package. Please click here link to find out more. At LCS, we appreciate that personal support beyond training is a vital element to ensure your professional success. High profile work experience as an emerging makeup artist can be tricky to secure, however it is crucial to develop skill, build connections and present an impressive list of work experience to secure potential clients and projects. LCS holds a ‘who’s who’ of high profile brand partners across the beauty and fashion industries to support your personal development including: London Fashion Weeks, Paris Fashion Week, TV series and dramas, Film, Celebrity, Editorial beauty, beauty Music Artists, plus the opportunity to work with LCS Fashion Photography and styling students on additional test shoots to practise and develop skill throughout the year. Employ a range of beauty makeup techniques. Be able to work to a commercial beauty makeup brief. Download the prospectus for more course details. At LCS, we support the on-going professional development of each our graduates. A part of this includes complimentary membership to the LCS Pro-Community, a powerful platform that creates opportunity to network with industry influencers and like-minded creatives for valuable insight and game-changing connections. The Pro-Community welcomes regular key industry guest speakers, topical debates, additional industry learning, brand launches, plus pro-tips and news. All course fees can be made via bank transfer, or by selecting a credit card of your choice (using our secure PayPal) WORLDPAY method of payment. Please call us on +44 (0) 20 3096 9966 for details. At LCS, we welcome all applications for industry training in an environment that encourages creatives to flourish. We have partnered with GOV.UK to offer a loan with PCDL (Professional Career Development Loan) (as an alternative source of funding for our students. Please see link for further information, or call the LCS office and one of the team will be delighted to answer questions regarding this. Those who are beginners and have little to no experience in makeup. Those who are passionate about makeup and have enthusiasm to learn professional skill from a team of industry experts. Those who would like to learn the fundamentals of makeup at professional industry level. Those existing makeup skill would would like to gain London based fashion industry experience, contacts and industry opportunity. A good command of the English language is also necessary as all classes are taught in English. For international students we accept the IELTS and TOEFL test certificate as proof of proficiency in English. All students are required to submit our completed LCS application form provided below. No previous experience is necessary as the course takes you through basic to advanced level skills. Passion for makeup, with the dedication and determination to succeed are the essential entry level skills required. 3 GCSEs (grade A-C) or BTEC National Diploma or equivalent for international students is preferable but not essential. At LCS, we recognise that some of the most creative individuals are not necessarily the ones the excel academically. Therefore, please feel welcome to apply if you do not have this academic standard and are passionate in your decision to be a Makeup Artist or have work experience instead. Applicants must be 18 years or older at the start of the course.